Successfully Added RGB Ceiling Color Light - 36W, 2400 Lumens, 3000K To 6500K Color Temp, Millions Of Colors, Remote Control, 10M Range to your Shopping Cart. Enlighten your room in millions of colors - this large RGB ceiling light is able to illume any color, sure to fit your every mood. With its sleek, timeless, and extraordinary design this color light is a true asset to the interior of any modern household and office alike. By simply turning the color wheel on the remote control of this RGB color light, you can easily select every color you like for the perfect mood lighting. Whether you spent a romantic evening at home with the misses and want to enlighten the room in passionate red, or simply use this color light to brighten up your office space with regular white light – with this RGB light you are guaranteed to find the right color lighting for every situation. 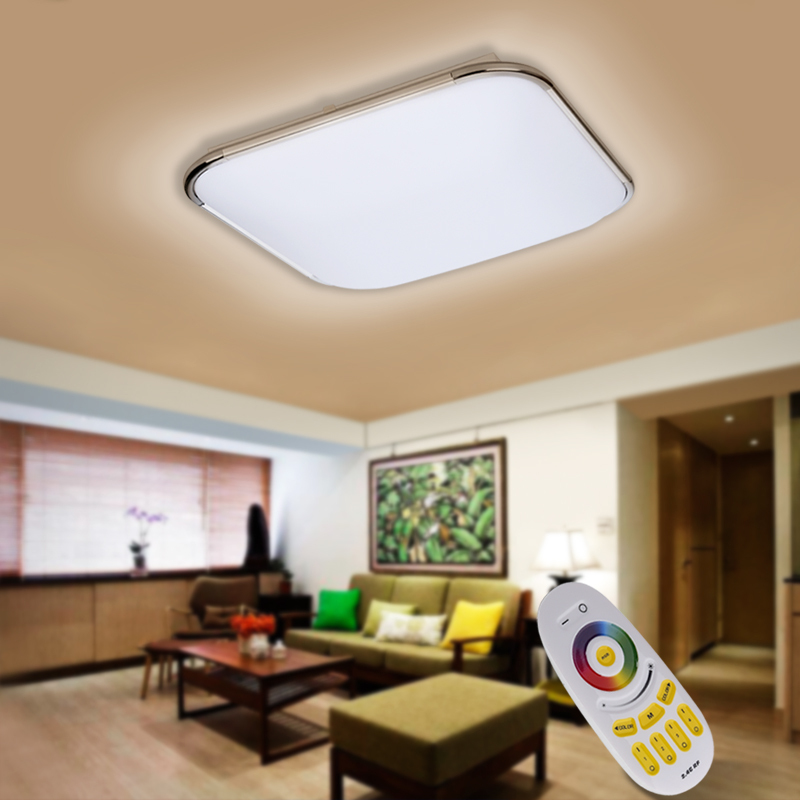 Besides changing in between millions of colors the remote control of this LED color light allows you to adjust the brightness and color intensity. Equipped not only with a RGB LED but also with, inter alia, 5730 White LEDs you can simply add a bit more white to create soft and delicate pastel shade of color. Thanks to its nice diffuse light effect all the colors of this LED color light are absorbed into your interior in a natural manner. With its 2400 lumens of strength this color lamp can illumine an area up to 10 square meters – enough to light up an average sized room or small sized office space in whatever color you prefer. Up to 8000 hours of service life, the possibility to illume millions of colors, and the possibility to use this color light for regular (white light) purposes as well, guarantee that this RGB light certainly is worth the money spent for it. This RGB Ceiling Light comes with a 12 months warranty, brought to you by the leader in color lights as well as wholesale electronic gadgets..